Graeme is an Assistant Professor of Political Science at UCLA. Previously, he was a post-doctoral fellow at Columbia and Evidence and Governance and Politics (EGAP). He holds a Ph.D. in political science from Princeton. Graeme studies comparative politics with a focus on West Africa as well as experimental methodology. His book project asks why groups living near valuable assets like oil fields are often able to force the state to make policy concessions. Graeme is an Assistant Professor of Political Science at UCLA. Previously, he was a post-doctoral fellow at Columbia and Evidence and Governance and Politics (EGAP). He holds a Ph.D. in political science from Princeton. Graeme studies comparative politics with a focus on West Africa as well as experimental methodology. His book project asks why groups living near valuable assets like oil fields are often able to force the state to make policy concessions. It is based on nine months of fieldwork in Nigeria, and was supported by a NSF Dissertation Improvement Grant and the International Growth Centre. 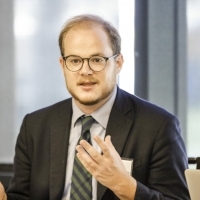 Graeme also studies why civilians support armed groups through survey research in Afghanistan, Mexico, Nigeria, and Pakistan, and he has developed new experimental methods for sensitive survey questions. His work appears in the American Political Science Review, the American Journal of Political Science, the Journal of the American Statistical Association, and Political Analysis, and won the 2013 Pi Sigma Alpha Award for best paper at MPSA.